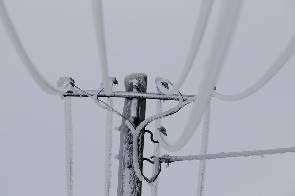 Poland could face problems with power supplies in the coming days if the freezing weather conditions continue while river water levels are low, Polish power grid operator PSE said on Tuesday. "Due to the continued severe freeze in Poland there has been a significant increase in domestic electricity consumption. (...) At the same time, there has been a significant drop in the already low water levels in the rivers," PSE said. Poland generates most of its electricity from coal-fired power stations, but rivers are used to cool the plants. Low water levels together with an unexpected outage at one of the biggest power stations contributed to power shortages in August. PSE said that currently electricity demand exceeds 25 gigawatts (GW) in the peak hours. Poland has installed capacity of 39 GW, but power exchange data showed Polish utilities would have 5.0 GW offline for planned and unplanned maintenance on Wednesday. PSE said that it observed a "significant" decrease in the available power capacities, but the current capacity reserves are sufficient for the system to operate. "Potential deterioration of the hydro situation in the Vistula river basin could significantly change the conditions of balancing the capacities in the system in the coming days," PSE said. Water from the Vistula, the longest river in Poland, is used to cool the power station in Kozienice in central Poland, owned by Enea. State-controlled Enea said it switched off on Monday its 560 megawatt unit in Kozienice for two days due to low water levels.